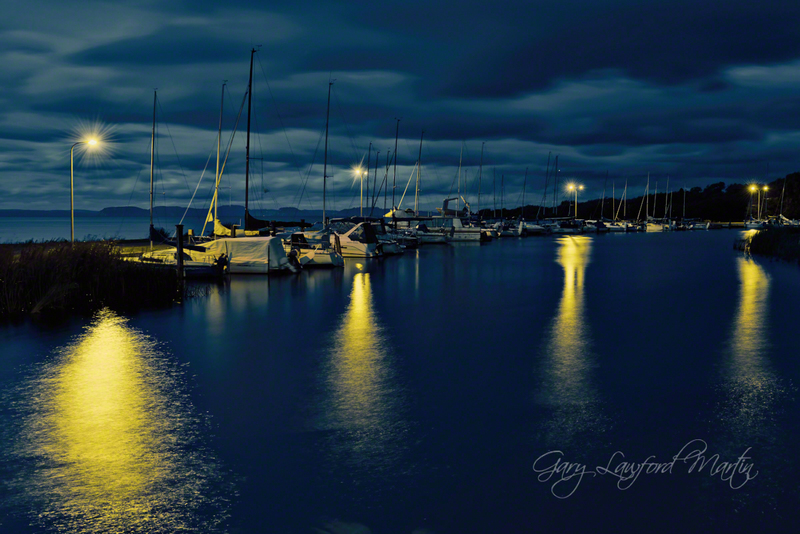 Motuopa Marina at Lake Taupo taken on Christmas night 2013. Popular tourist and fishing destination. Raw conversion, import light and shadow adjustments in Capture One Pro 7. Std import sharpen and minor white balance adjustments. Further editing in Topaz FX Lab: one adjustment layer with cyanotype effect applied by Topaz Adjust.